You only need to look at me for about half a second to know that I burn easily. I ate lunch outside the other day for about half an hour and ended up with a bright red chest, and while I was in Costa Rica my shoulders did a very convincing impression of a moulting reptile (ewwww). 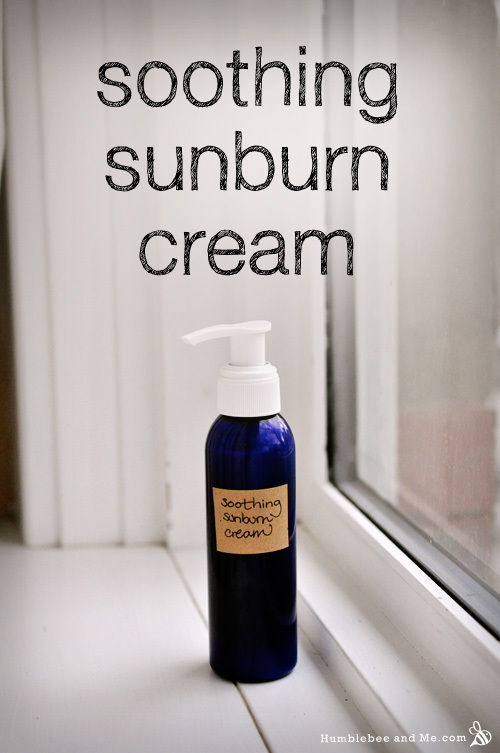 And while I am in no way advocating going out and getting a sunburn, if you do happen to get one (as I inevitably will, it seems), this lovely cream helps. The water part of the cream is aloe vera juice and witch hazel. Aloe vera is a long time favourite for soothing sunburns, and witch hazel is a mild astringent and will help soothe tender skin. Vegetable glycerin increases the humectant properties of the lotion, helping keep the skin hydrated as it heals. Raw honey contributes beneficial enzymes and antibacterials, and bee propolis amps up the antimicrobial/antiviral/healing factor. Silk peptides help with healing and regeneration thanks to their protein content, which is close to that of human skin. 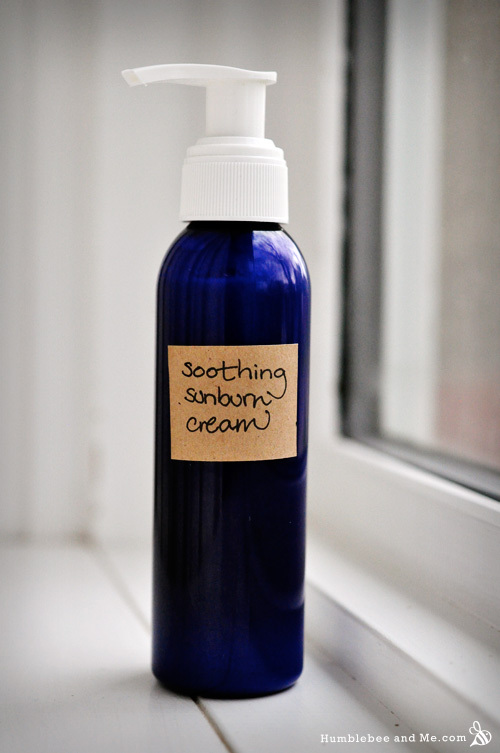 And lastly, allantoin, a long time favourite for all kinds of healing products like diaper creme and scar salves. 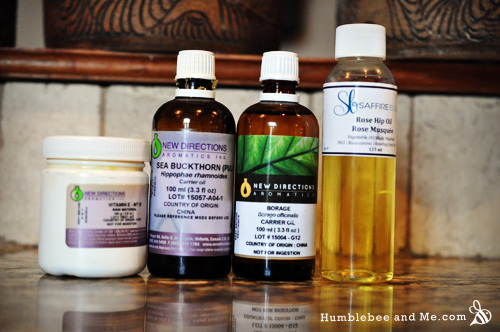 For oils I chose a host of favourites for soothing, healing, moisturizing, and regeneration. Borage oil is an extremely rich source of fatty acids, as well as vitamins and minerals. Rosehip oil is a light, fast absorbing oil high in vitamins C & E, and known for its regenerative and healing properties. Seabuckthorn oil is a favourite for anti-acne products, and it’s loaded with vitamins C & E, amino acids, and beta carotene. It’s high beta-carotene makes it an excellent healing oil—perfect for a sunburn lotion. Seabuckthorn is also pretty expensive, so you can feel free to replace it with more of either borage or rosehip oil (or a blend of both). Tamanu or emu oils would also be good choices for substitutions if you happen to have them on hand. The essential oil blend is designed to be soothing, cooling, and healing. Peppermint cools, chamomile soothes, and eucalyptus and lavender help heal. They also smell nice all together, so that’s a plus as well. 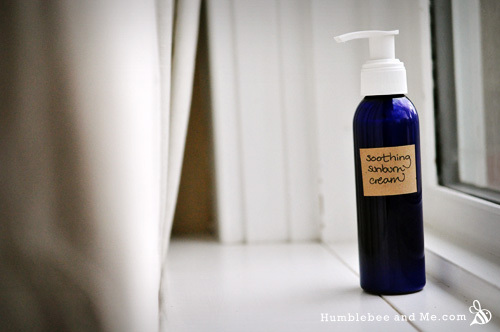 The final lotion is light and creamy, with a slight yellow hue from the seabuckthorn. It’s slightly cooling on the skin, and imparts much needed moisture to dry, burnt skin. 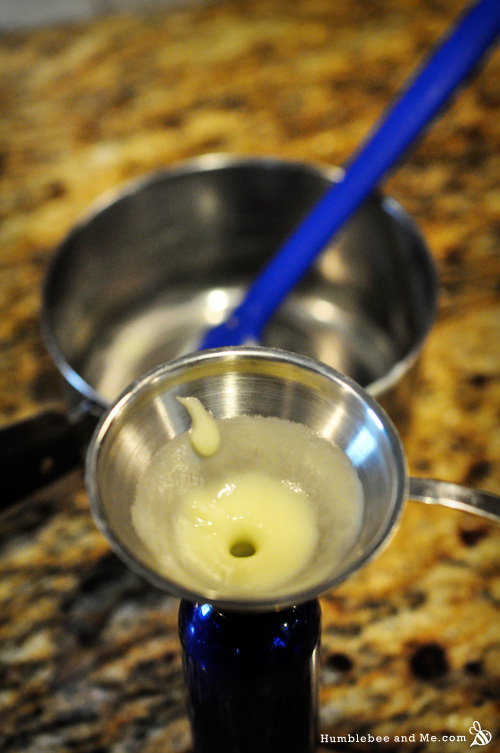 Weigh the emulsifying wax and oils into a small saucepan and melt over low heat. 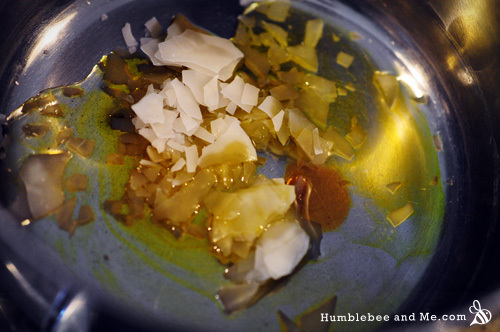 While the oils melt, whisk together the witch hazel, aloe vera, vegetable glycerin, honey, bee propolis, silk peptides, and allantoin in a small glass measuring cup. Gently heat through to encourage everything to dissolve. Once the oils have melted, add the water part and heat through. 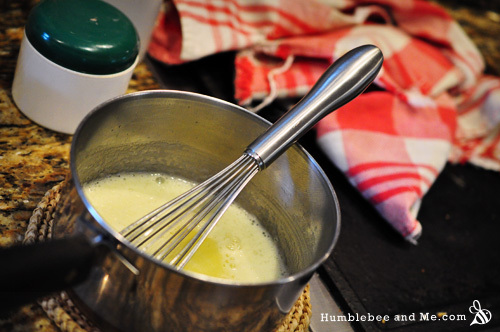 Remove the pan from the heat and thoroughly whisk everything together, and then whisk occasionally as the lotion cools (the thickening may take a few days if you are using a different emulsifying wax from emulsimulse/ritamulse). Once it’s cool, stir in the essential oils and preservative, and decant the lotion into a 120mL/4oz pump-top bottle for storage and use. Us pale skinned babes must just know 😉 This lotion has been downright fantastic for me this summer! Have you tried Seabuckthorn Extract? Given that I have had cancer cells removed from my face and chest for the past four years now…prevention is obviously on my mind. Too much Scotch and Irish blood and skin type. I work outside a lot in the summer in our gardens and tending to the bees, so in addition to a wide brimmed straw hat, long sleeves and pants…I am adding this solution to my summer regime. 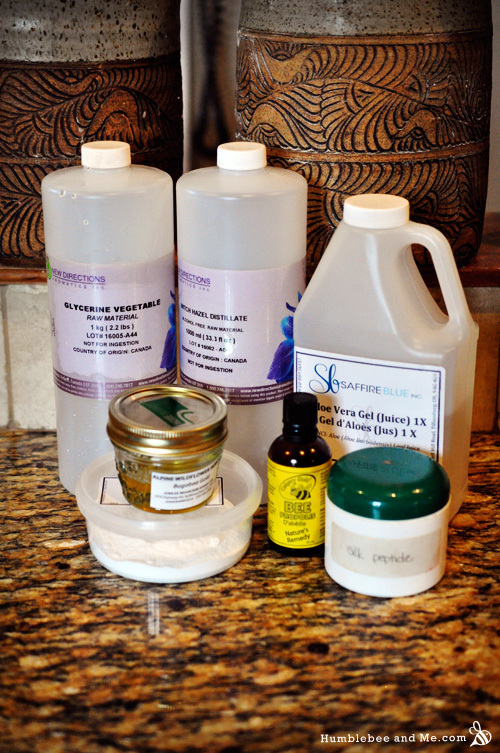 I will also use a Argan Oil based recipe from my aromatherapy teacher as a screen. 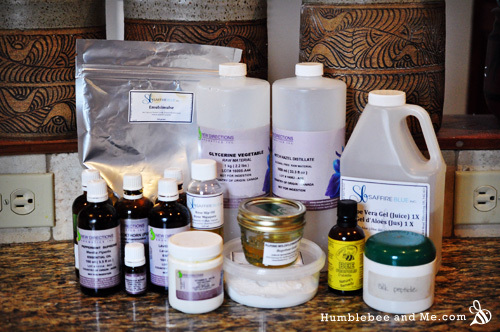 I did read your notes and caution regarding sun screens which are hard to argue with, but I need some sort of prevention as well as cure; and I would rather use a organic solution on my face than a store-bought chemical….so I will let you know how I do. As always, love all your recipes, which I have found really work for my family and friends….but when you add honey products to your recipes I feel duty-bound to make and use them. Hi Jess! 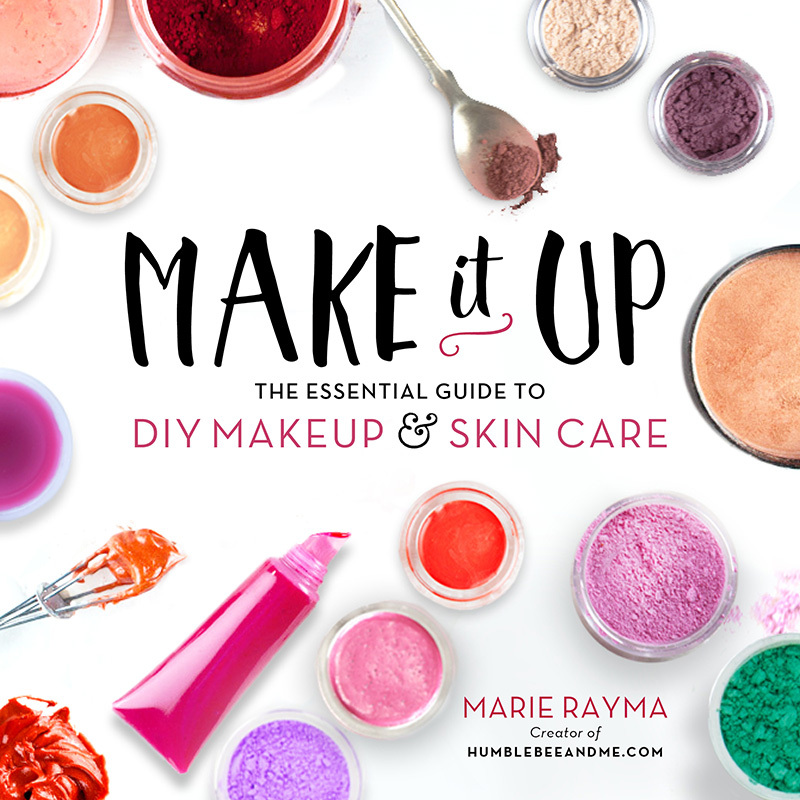 Have you checked out the EWG’s list of safe, natural, and effective sunscreens? They do exist 😉 It’s a great resource, too. I look forward to hearing your thoughts on this cream! …just an update…my wife and I…and friends love this lotion which I am using nighly. Boy is this a great recipe Marie. Fantastic! I’m so, so thrilled you guys are loving it 😀 WOO! Thank god I had all the ingredients on hand tonight. My 9 year old came home from camp today with very lobster like shoulders. He helped me make the lotion tonight and loves how it feels!!! Thanks so much for being such a great resource. I’m so happy to help! I hope his sun burn clears up ASAP 🙂 Thanks for reading and DIYing with me!